Google’s payment platform is expanding rapidly. Just a day after rolling out new countries, and after adding support for several cities’ transit passes, Google Pay is now able to handle a rather uncommon currency. Indeed, Indian users can now buy and sell gold straight from their phones. 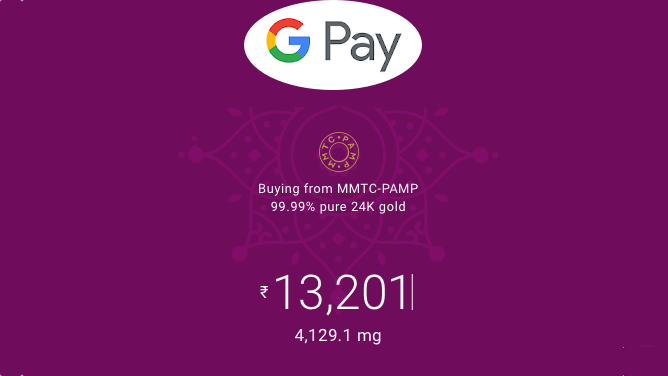 Thanks to a partnership with MMTC-PAMP, people can now acquire 24-karat using Google Pay. Completing a purchase is as simple as entering the amount in rupees, and the app will automatically convert it into the corresponding weight. Once a transaction is complete, the precious metal is stored in a secure vault under the buyer’s name. Naturally, it’s also possible to use the app to sell gold at the latest market price, which is refreshed every minute. This is a smart move from Google, as the company is working hard to adapt its offering to the local market needs, especially by finding local partners. I’m curious to see what’s next for the platform as it continues to expand.